Very late evening of the 21st of Kagna, festival of Khonsu, 2nd year of the rebirth, in a forest clearing near the Kobold Farms, on the island of Y-Oda. The source of this tale is taken from word of mouth accounts by those that witnessed or participated in it. Ursus is leading a group of eight Kobolds into the forest. They walk in single file, Ursus is confident in his pace, some of the Kobold match his confidence, some are slightly hesitant and one seems to be there just as a dare, he looks as though he is being led to assured death. When they reach the first clearing in the forest, Ursus turns to them and instructs them to form a circle around him if they wish to be blessed. 7 form a circle, while one hangs at the edge of the clearing. He tells them all to strip down, so that they may be blessed in TRUE form. They all comply. He warns that there will be pain involved, although minor, if they wish to be blessed. Brother, do you not wish my Blessing? Come join the circle with your Brothers. Nah, I’m good over here. Sobeit Brother, may you at least feel the blessing of Khonsu, may he protect you in your life’s travels. As Ursus begins his ritual the clouds clear away and the moonlight shines down on the group. The Kobolds all smile slightly. He walks up to seemingly bravest Kobold. 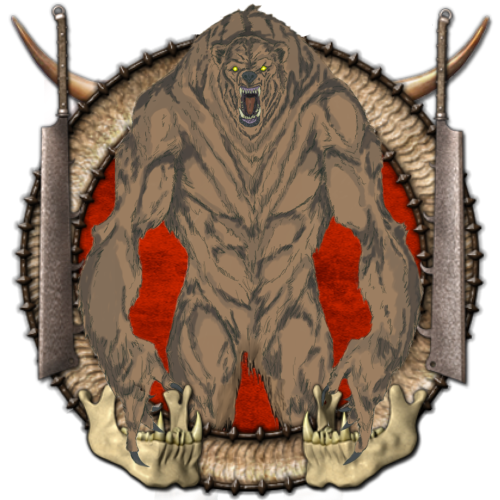 I, Ursus, DemiGod of the Monster Races, Soldier for Khonsu, in the Troop of CrIsis, hereby bless thee, may you bask in my Glory and the Glory of the Gods of Light. He then reaches out and slowly claws down his chest, from his collar bone to his sternum, but only skin deep. The Kobold tries to fight back the pain and hold in the anguish, but once the mark is done he screams out loudly. Ursus roars back at him, right in his face. Blood is dripping down his chest, but the wound seems to be very slowly, visibly healing. The Kobold feels much stronger, and the pain starts to subside, he does eventually stop screaming and is just breathing very heavily. The others, realizing what is to come from “minor pain” stop smiling. Some look white with fear. Ursus then steps to the next, repeating the blessing as before for each of them and roaring at them all. Some scream almost immediately from being clawed, one passes out after the mark is made (he revives astonishingly quick, feeling quite strong). All the wounds heal at astonishing rates (not near Ursus’ ability, but still quickly). Each is left with a large Bear Claw scar down their chest. Go, my brothers spread the word of Ursus, DemiGod to the Monsters, Soldier of Khonsu, in the Troop of CrIsis. Tell all of your Blessing and the Strength that you have received. 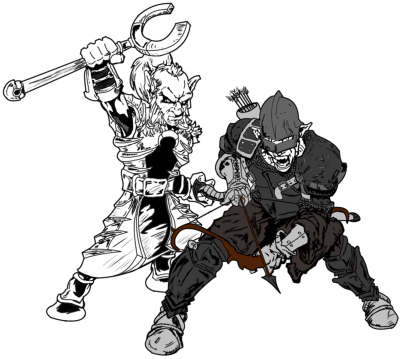 Ursus & Kobolds drawn by our own AZ_RUNE. You mean being “Blessed” by Ursus, same difference to Him. He is a “Trial by Fire” kinda gut…well Ice in his case. They lucky there wasn’t a body of water near by AND it wasn’t Winter. There’s a lot of cool flavor here! That one is a sleeper agent for the Solarium, because you give the dark gods a run for their money and certain kobolds take notice. There may be a faction wishing to split, who knows?? ?